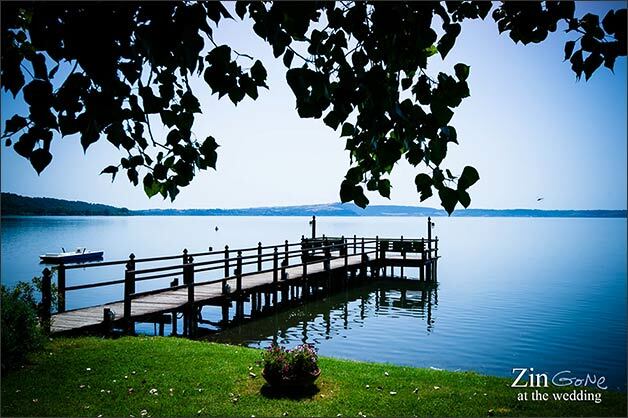 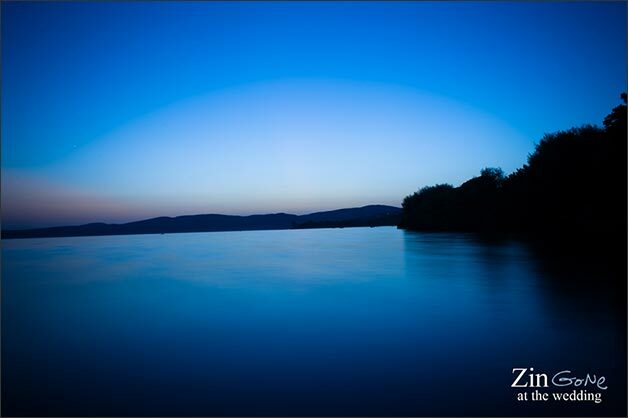 s you know Lake Bracciano is a wonderful natural oasis very close to the eternal city of Rome. 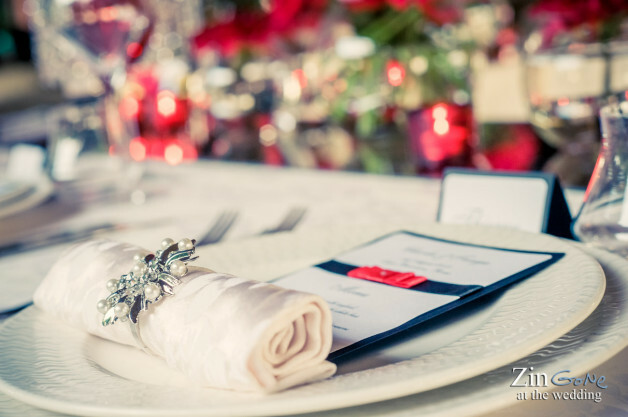 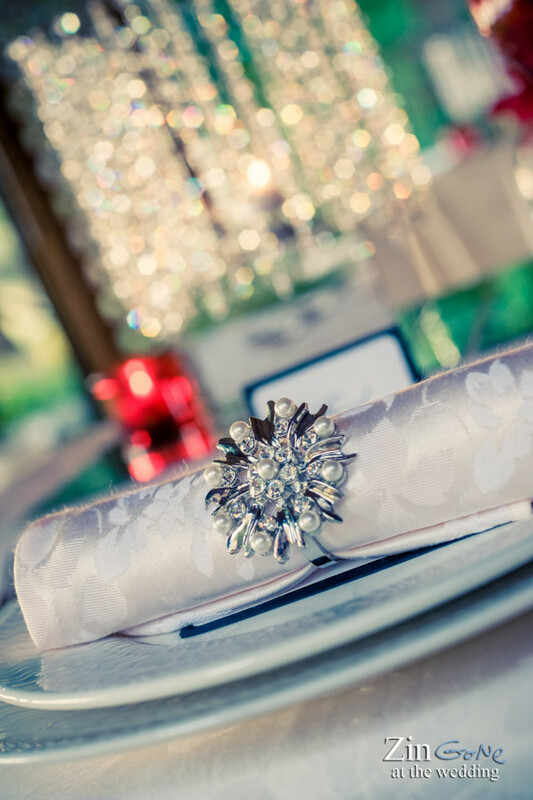 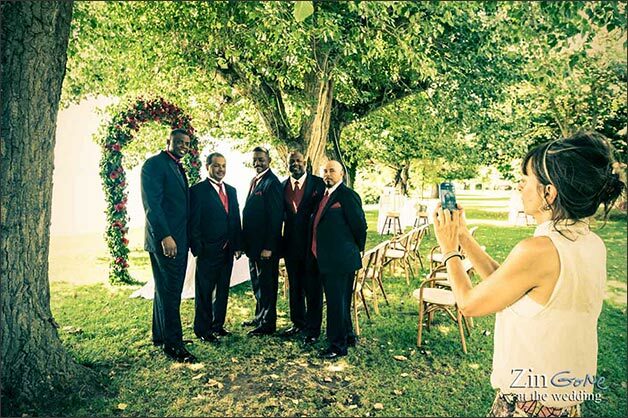 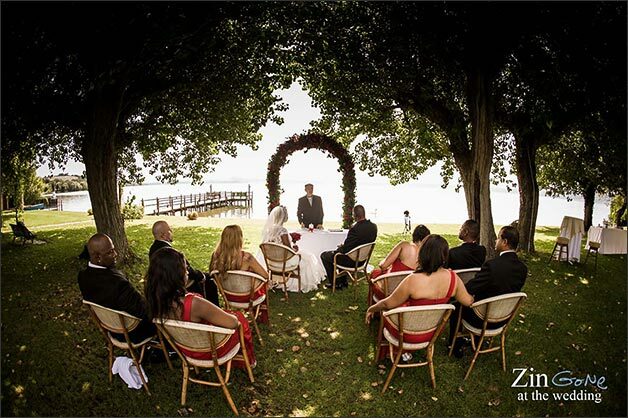 If you are looking for a romantic intimate wedding with a lot to do and to see this match could be a perfect choice just like Charles and Tanya did. 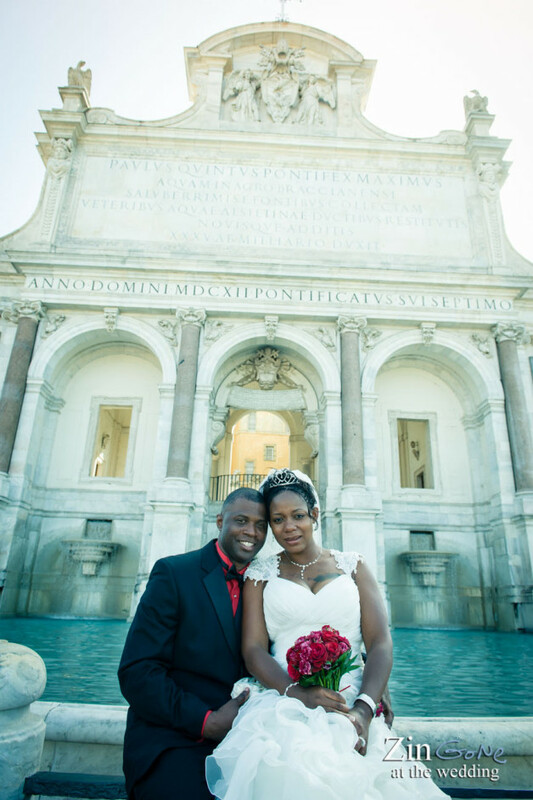 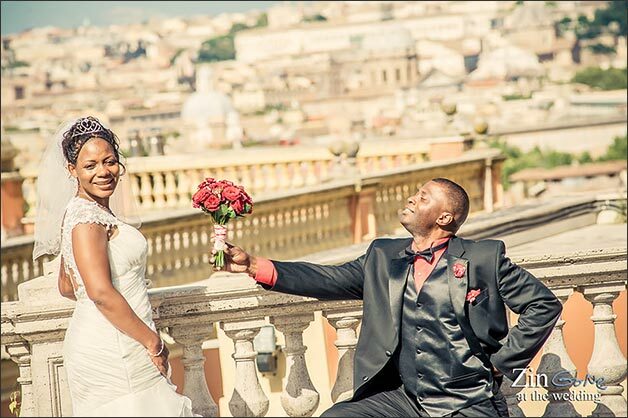 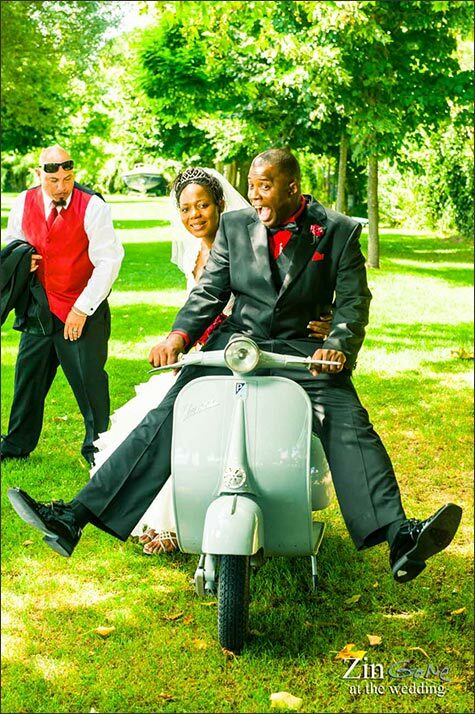 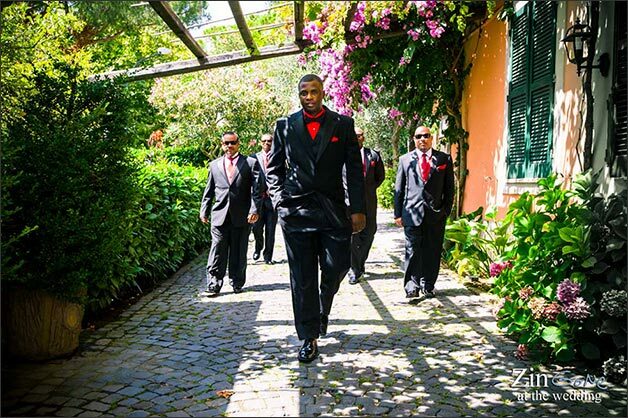 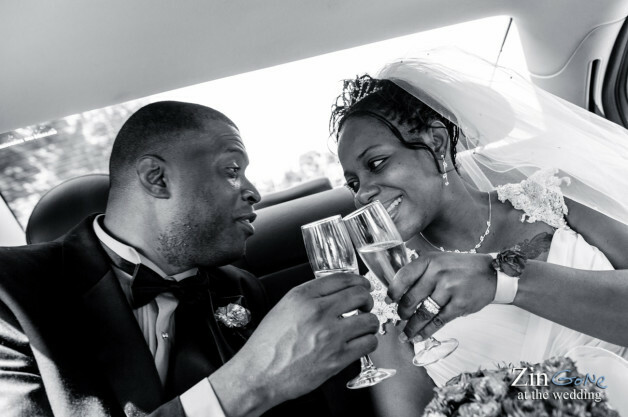 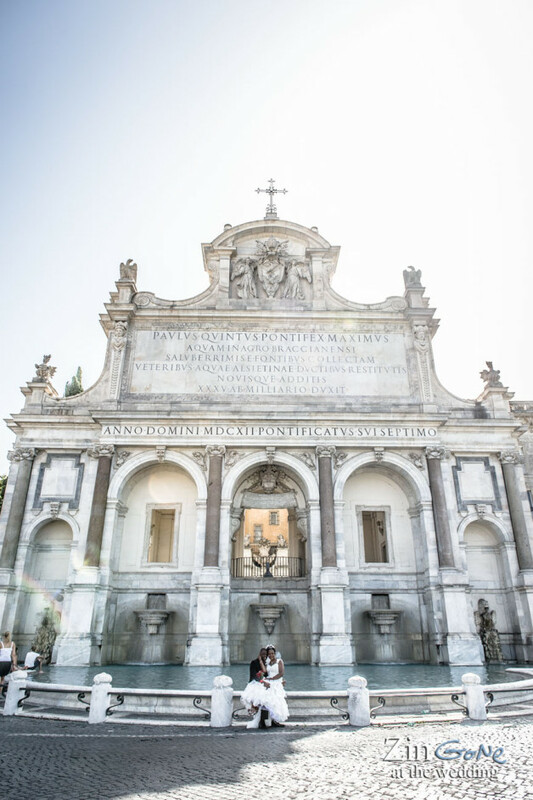 Charles and Tanya are a wonderful American couple they chose Bracciano for their intimate wedding in Italy. 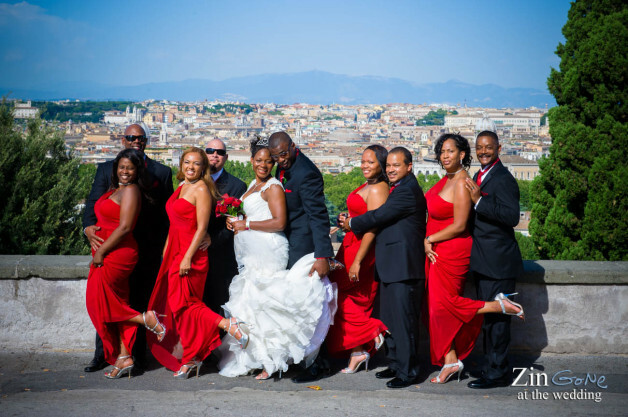 They had already got married in US with a big party but they wanted something more romantic and intimate to celebrate their special day with just few friends. What’s better than Lake Bracciano and Rome for something like this? 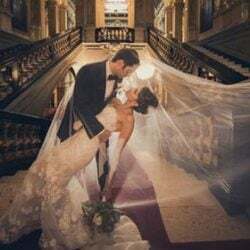 Well, Charles is a Marines… I guess American officers have a special taste for romantic happy ends just like Richard Gere in An Officer and a Gentleman. 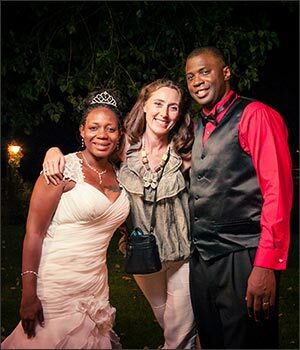 Charles and Tanya came here from California for a very special vacation. 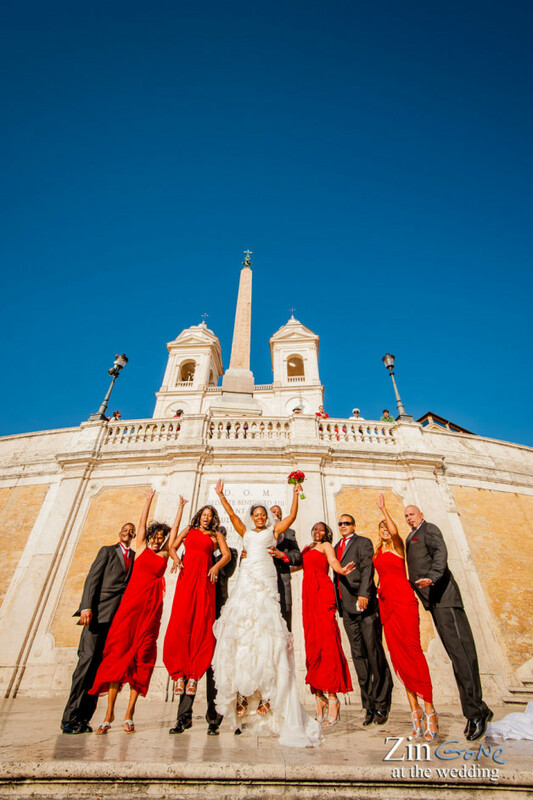 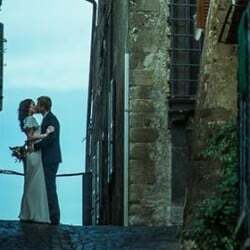 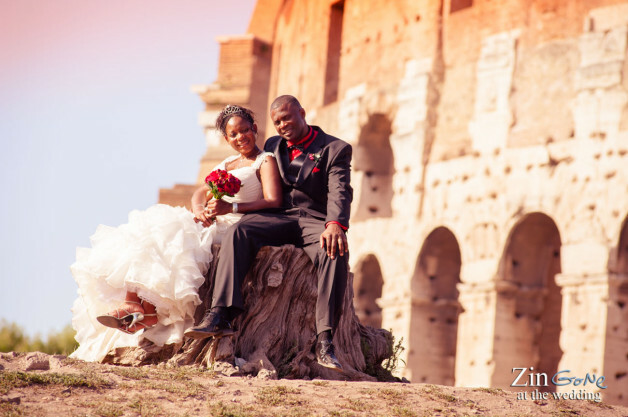 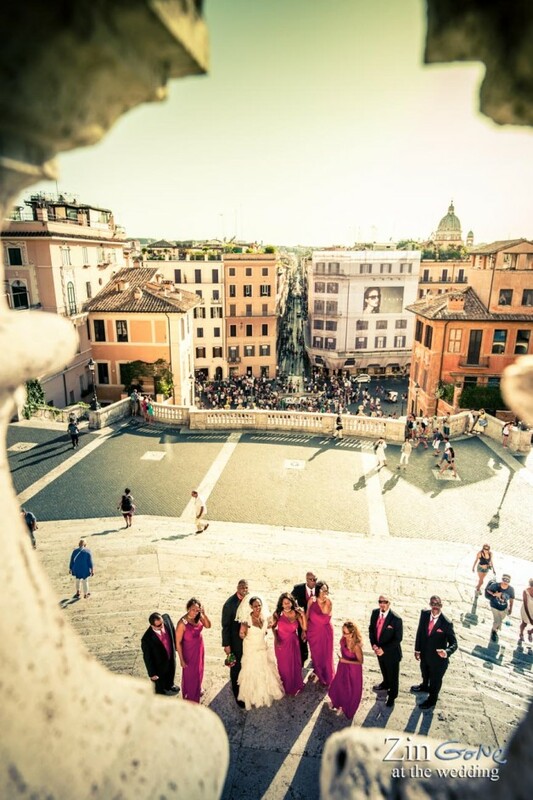 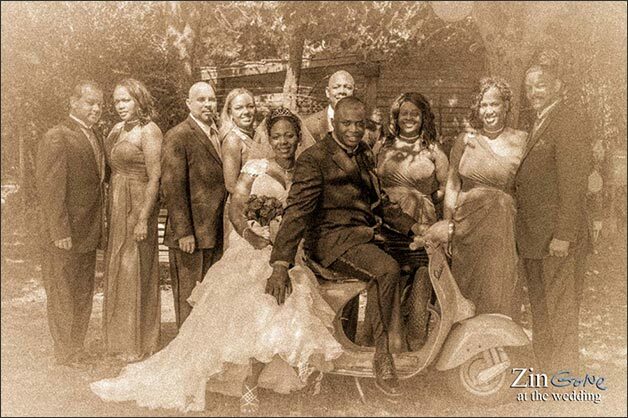 They stayed in Tuscany but wanted Rome and surrounding for their wedding. 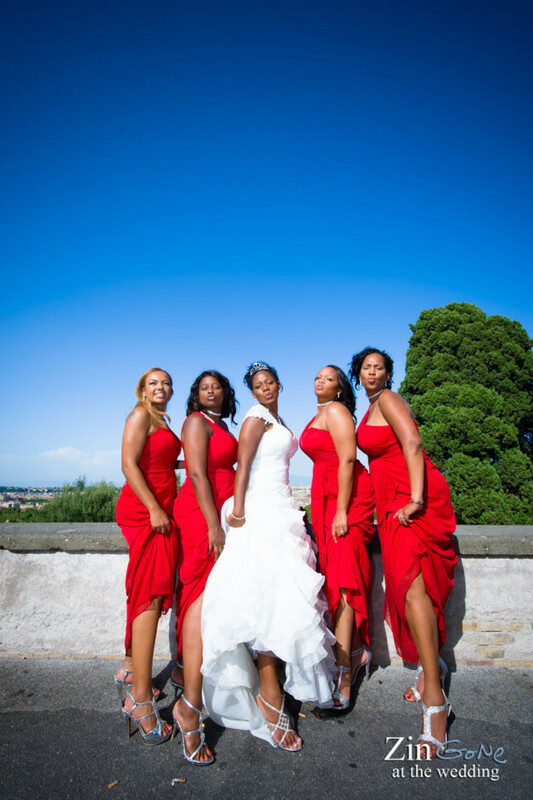 So I planned for them a transfer to Lake Bracciano on their special day. 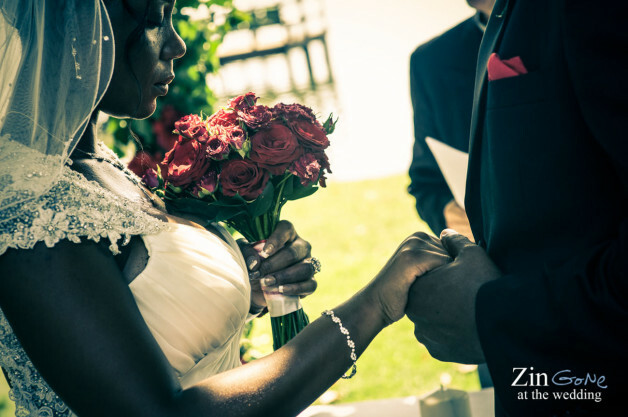 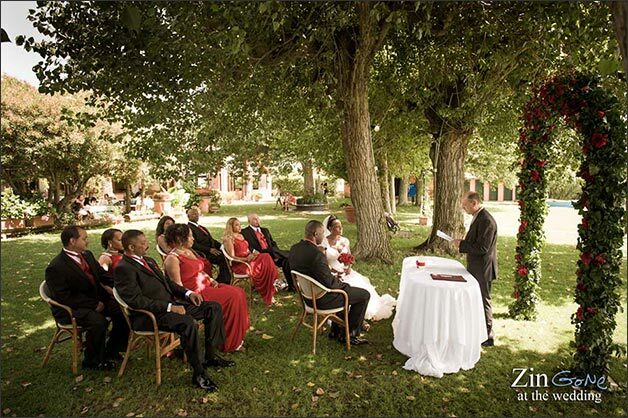 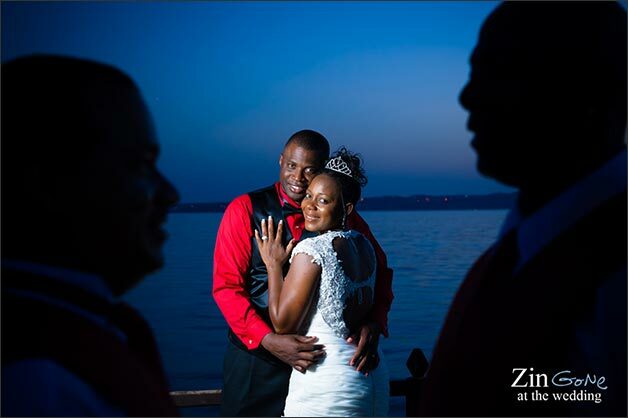 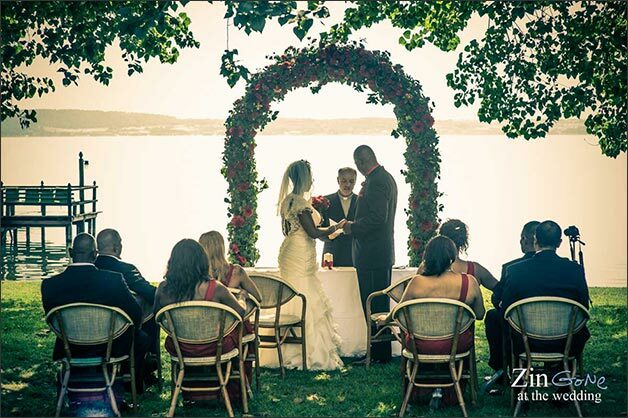 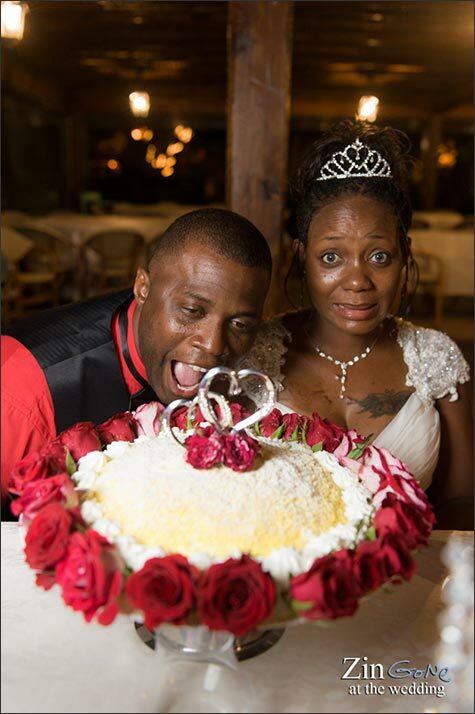 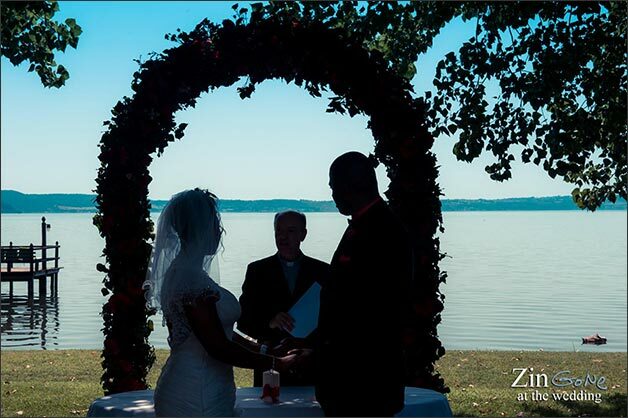 A romantic and moving religious blessing was planned in the gardens of a lovely restaurant on the shores. 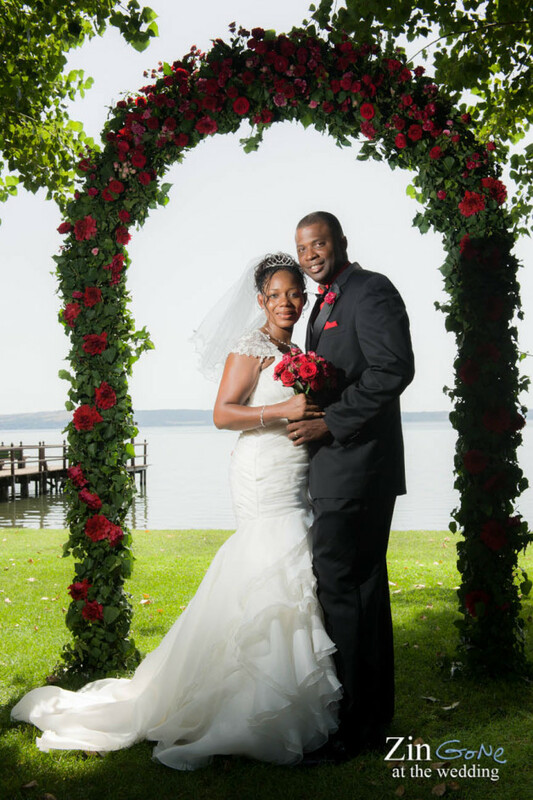 Tanya was simply beautiful in her lovely laces wedding dress with a romantic red roses bouquet matching Charles’ buttonhole. 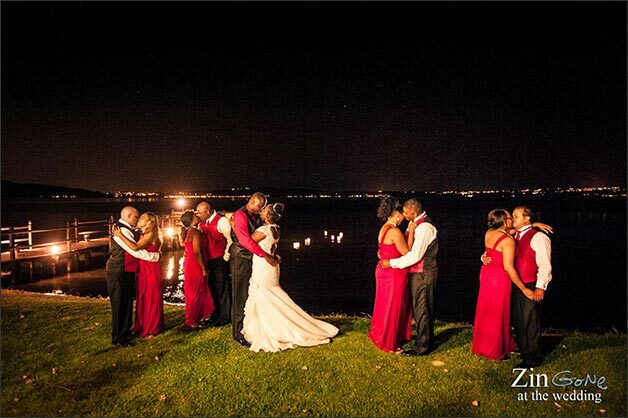 A very special atmosphere for a wonderful couple! 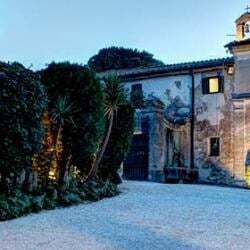 After the blessing and a lovely and relaxing aperitif on the shores of Lake Bracciano I planned for them a transfer to Rome. 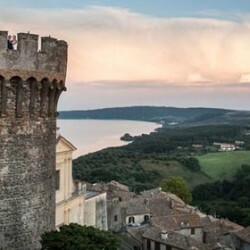 It takes just few minutes to reach eternal city from Lake Bracciano so some photos there are just a must! 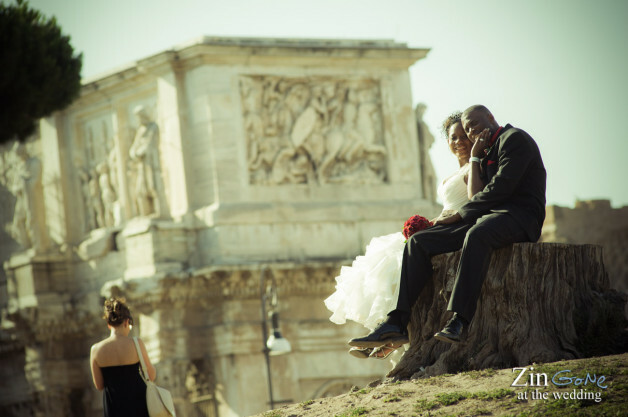 Alessandro Zingone Photographer did a great job guiding them in the most famous places of Italian capital such as Coliseum, Piazza del Popolo and Gianicolo Hill. 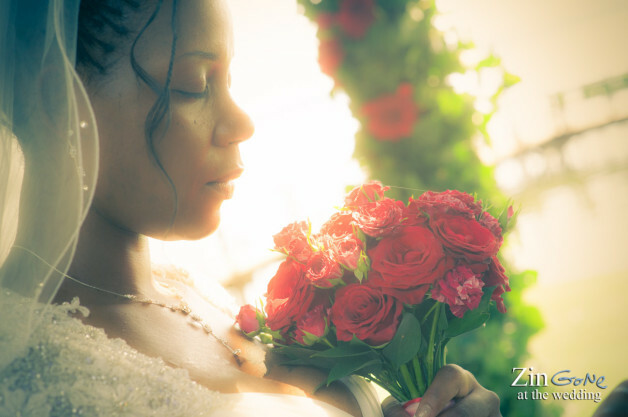 You can see the result here! 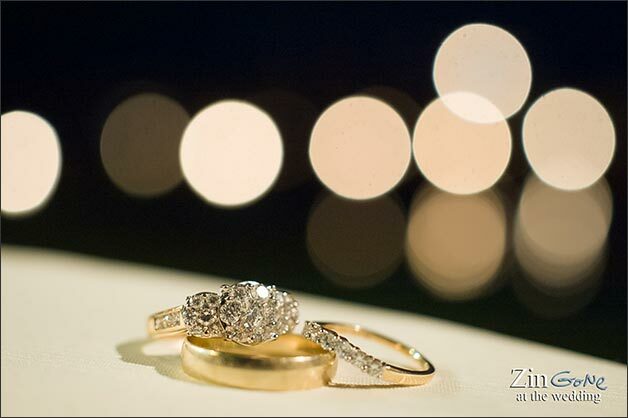 Aren’t they some wonderful shots? 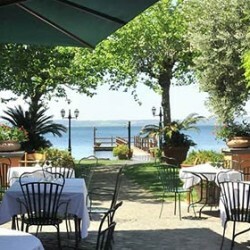 After the fun trip in Rome we got back to Lake Bracciano for a romantic celebratory dinner by the shores. 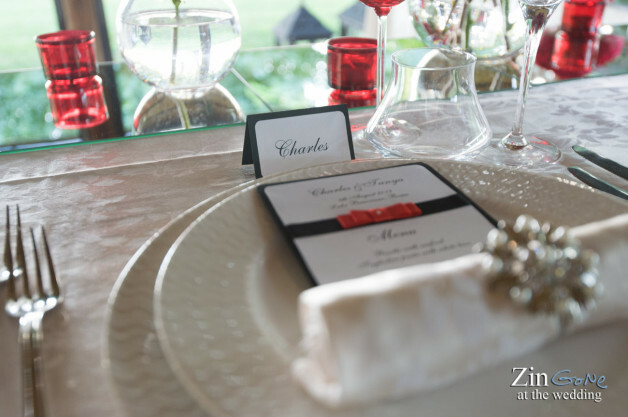 Dinner was planned in the same restaurant where Charles and Tanya had their blessing. 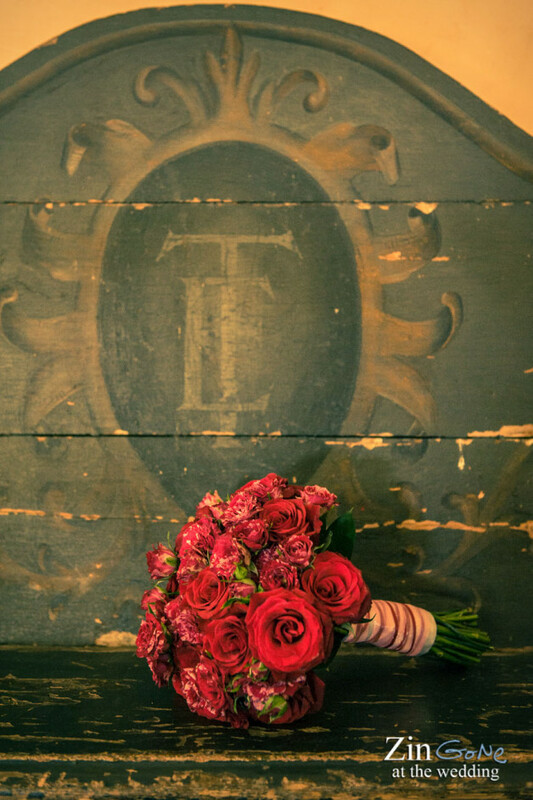 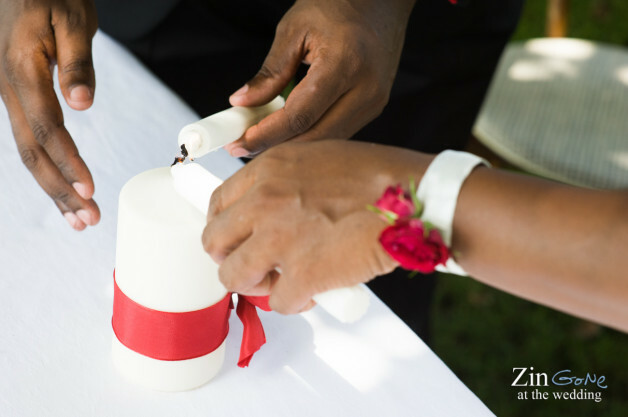 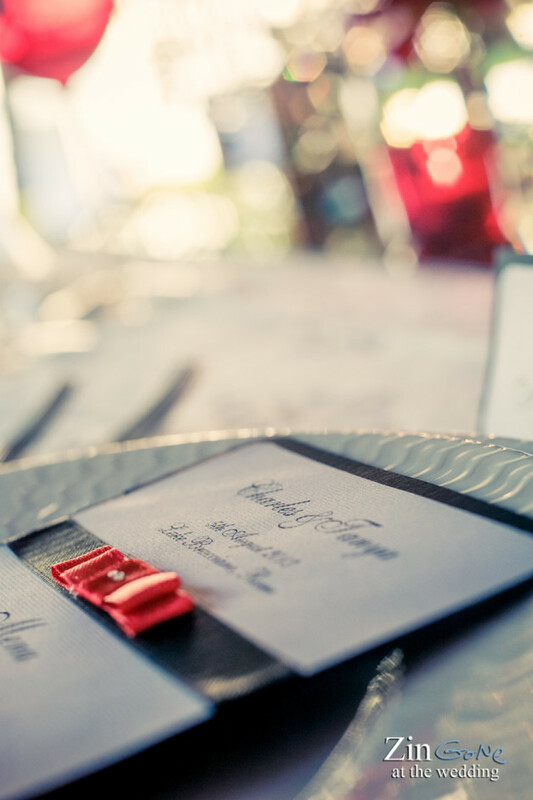 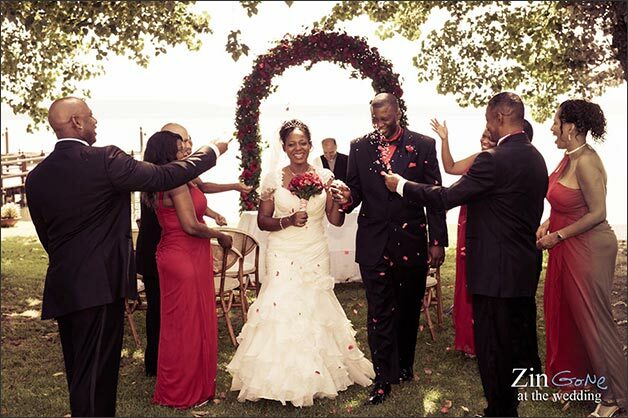 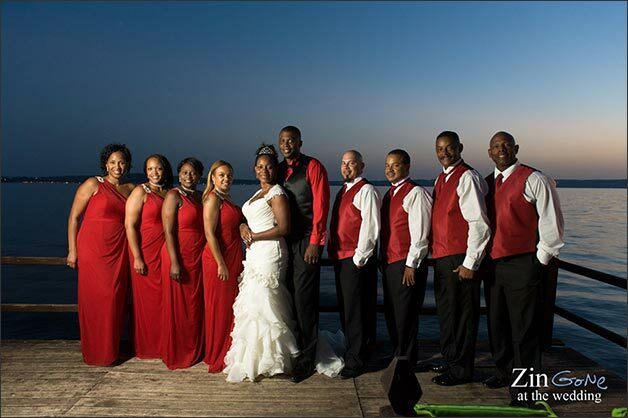 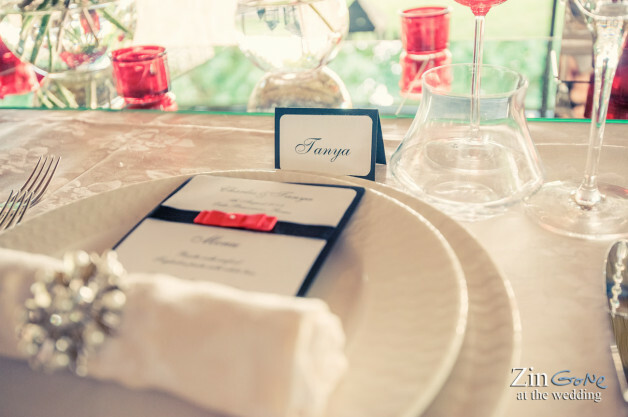 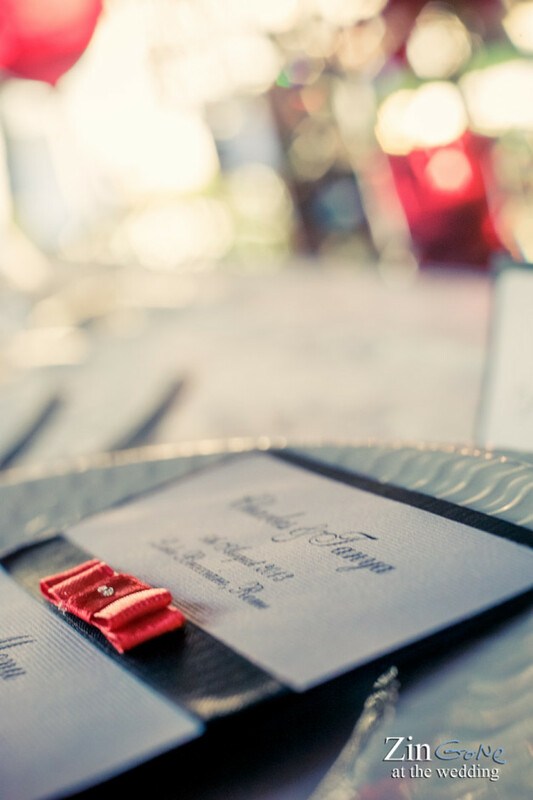 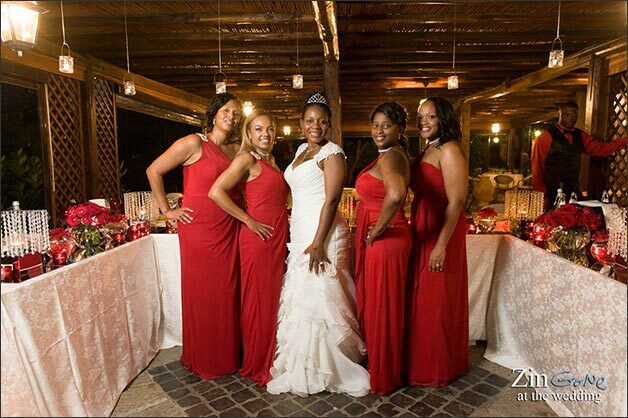 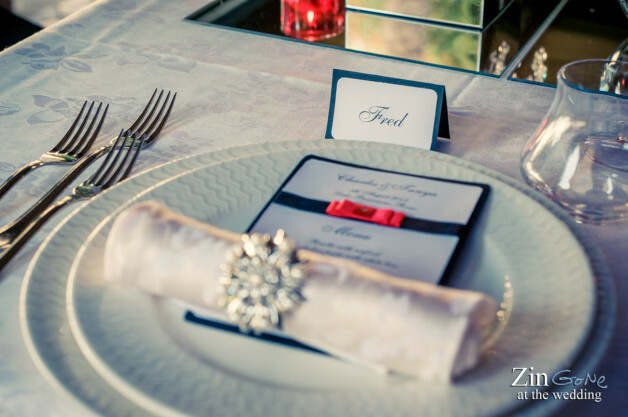 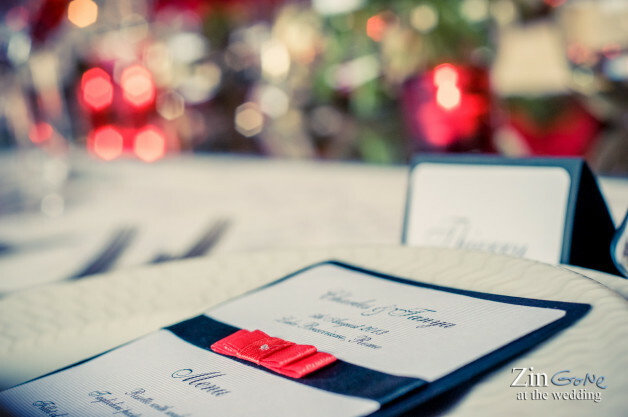 Tanya wanted a and red themed wedding in a very elegant and chic key and I created for her a very special setting. 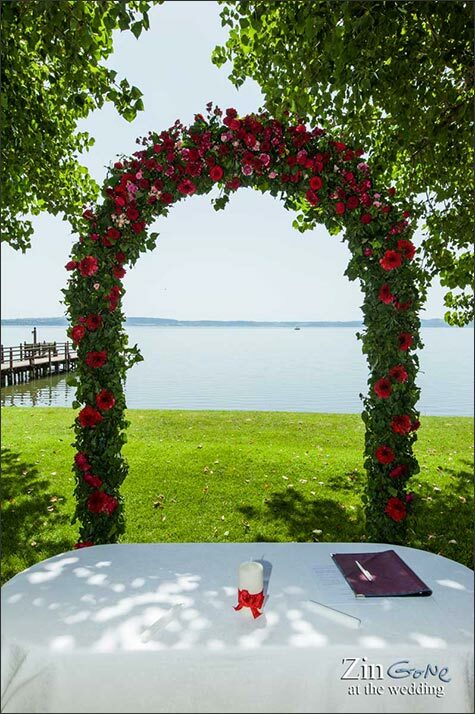 So I planned for her a very special setting. 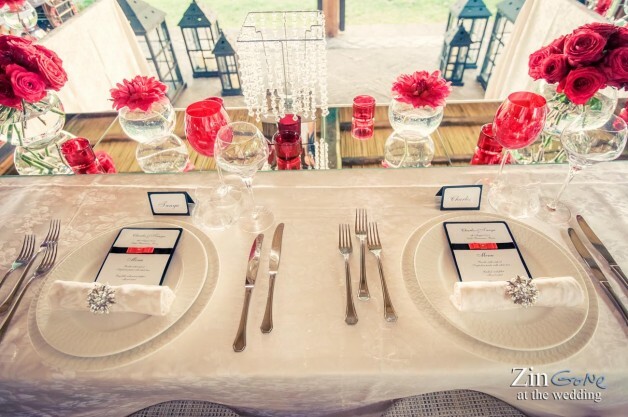 Have a look at the table decorations! 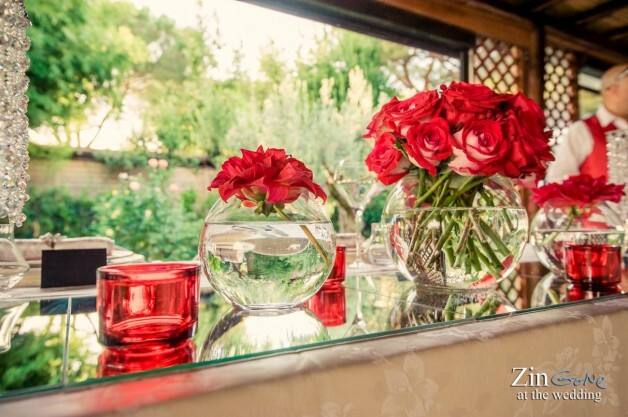 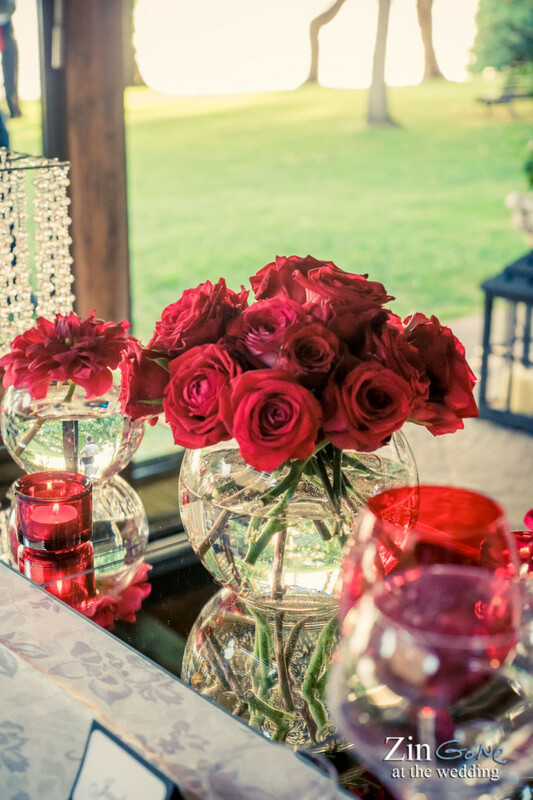 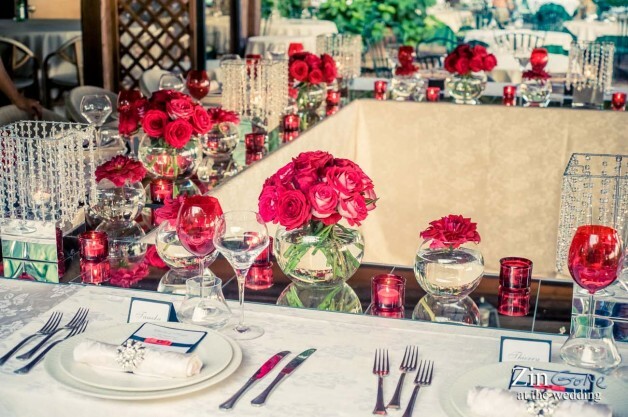 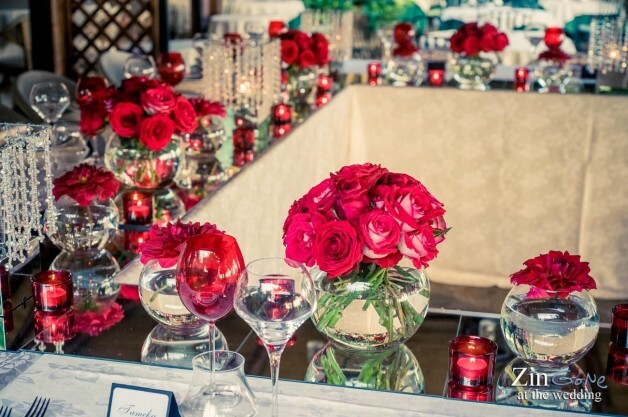 Some lovely red roses centrepieces in glass with water, Swarovski lanterns, red tea lights, a lovely withe table cloth with red wine glasses on and Swarovski napkin decorations. 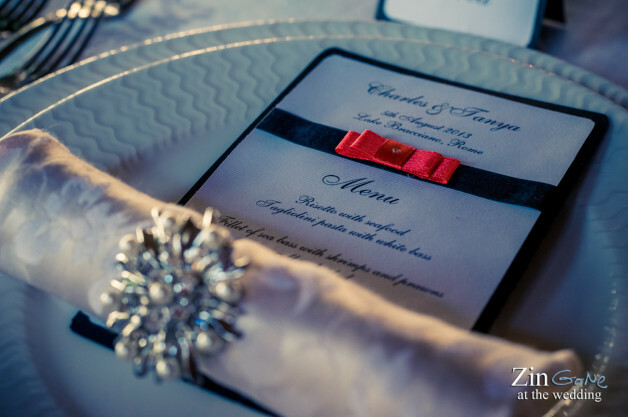 A little touch of black on the menus too just like Tanya wanted. 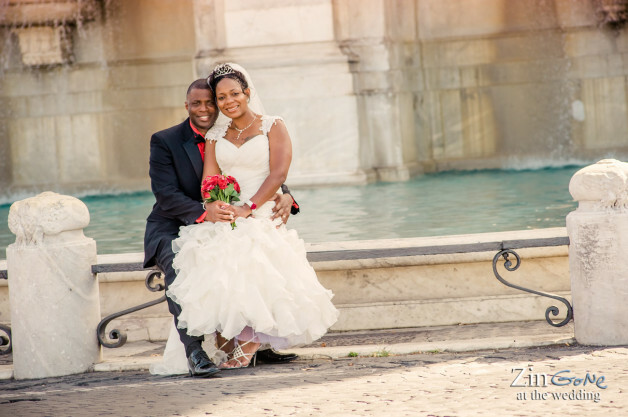 Creating special setting for my couples is surely one of my passions! 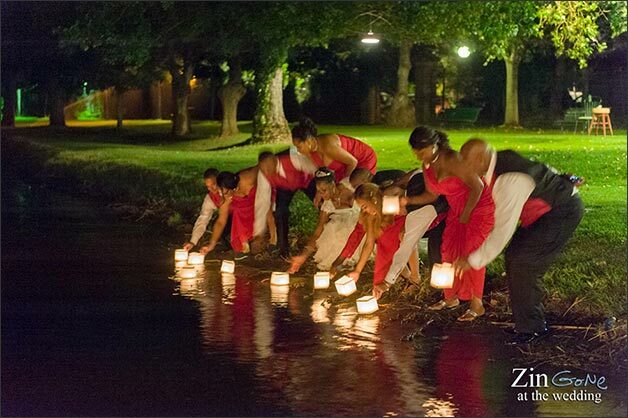 After a gourmand dinner the group released some floating lanterns on the lake making wishes. 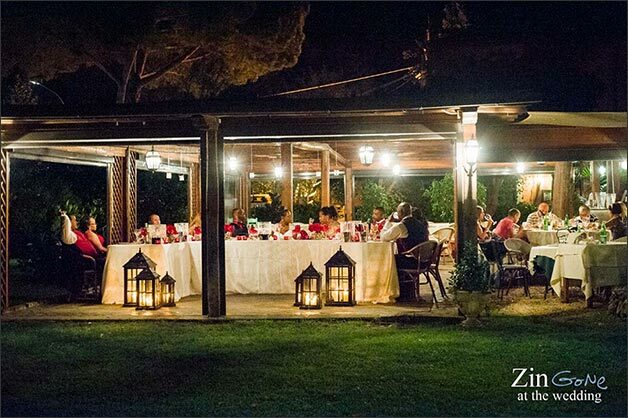 Can you imagine a more romantic way to close an amazing day like this? 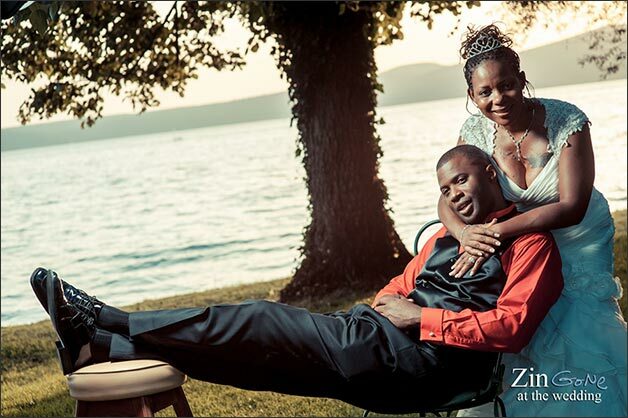 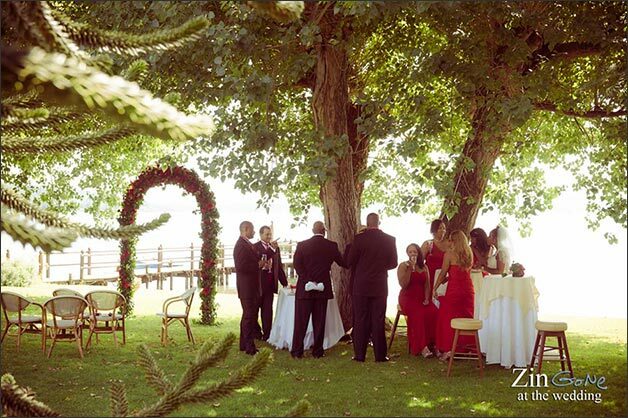 Congratulations guys and thanks for choosing Lake Bracciano for your romantic elope! 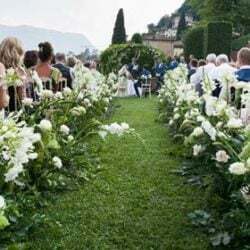 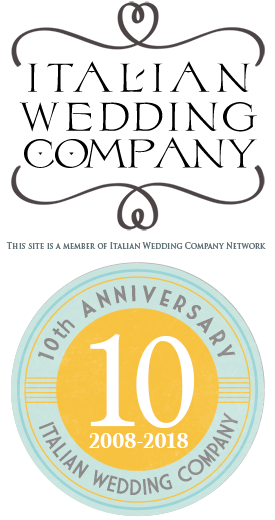 My name is Stefania and I work as wedding coordinator on Lake Bracciano and Rome area. 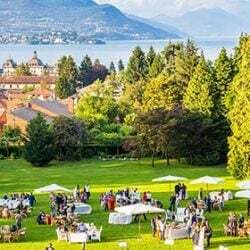 I was born close to Northern Italian Lakes District in Piemonte region so I’ve always been enchanted by lakes atmosphere and I know the real appeal of it. 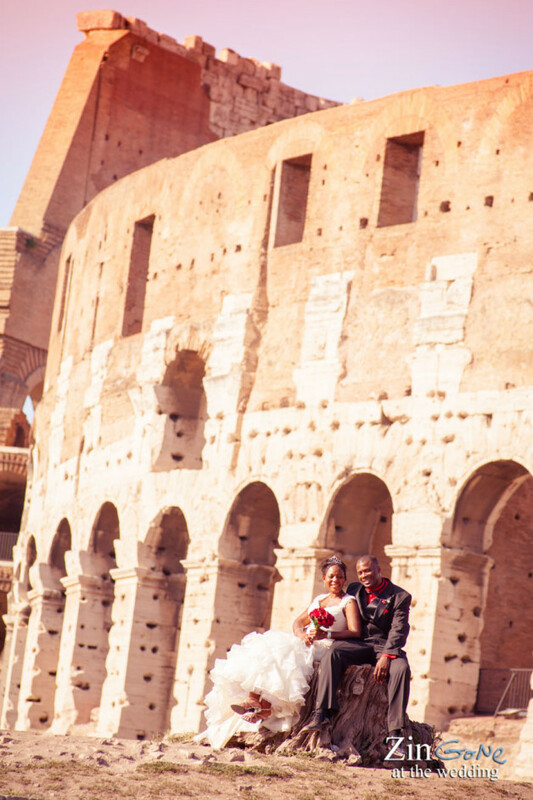 I’ve been traveling a lot before becoming a wedding planner, all over the world I was a flight attendant. 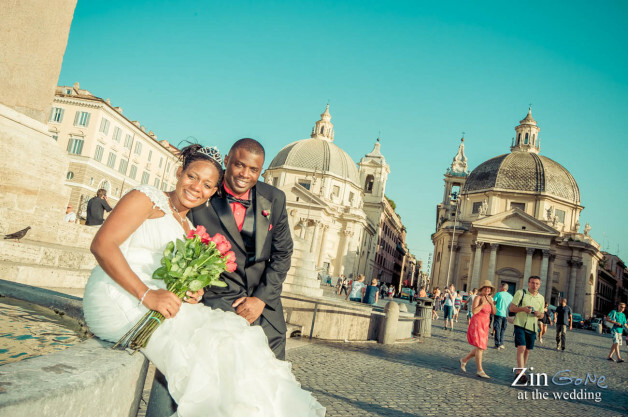 I developed a deep interest in people, customs and different country habits. 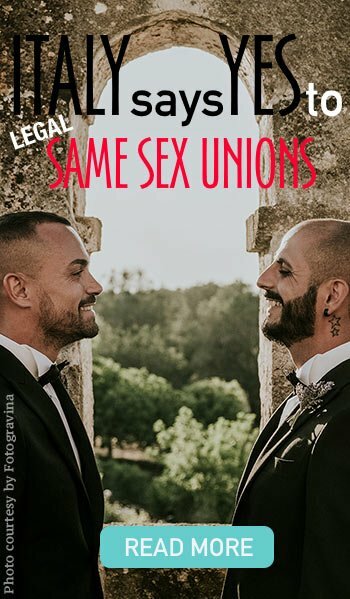 This knowledge is helping me a lot in my actual job. 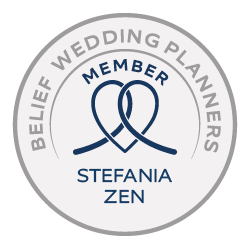 When I moved to Rome years ago I decided to become a Wedding Planner and now I’m happy to be part of this wonderful Team.